Bloomsbury USA Childrens, 9781599908359, 128pp. Bringing history into an engaging and kid-friendly graphic novel format, the Cartoon Chronicles series returns with a look at the Civil War. 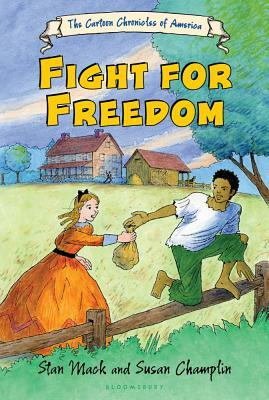 As the fighting comes closer to a Virginia plantation, a young slave named Sam escapes to search for his father, who's been conscripted into the Confederate army. Meanwhile, Sam's friend Annabelle, the plantation owner's daughter, must help run the plantation when her father dies. And that's no easy matter when soldiers from both armies want to use the plantation for their own purposes! Contains a prologue and an epilogue that separates fact from fiction.